Mr. Anderson’s group at Emerson initially began looking at adopting IIoT technologies as a way to collect more valve health data from the field and provide more realistic valve failure information than could be generated in a lab. 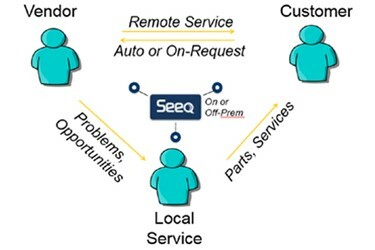 It soon became apparent that IIoT technologies were a natural fit for developing a remote monitoring service to help optimize customers’ valve maintenance practices. ARC observes that other leading companies also appear to be heading down a similar path; leveraging IIoT-enabled technologies to deliver new and more effective predictive or prescriptive maintenance services for critical assets.